Q: Quakernomics is not your first publication: What was your motive for writing about Quakers and focusing on their contribution to economics? Mike King: My interest in economics grew slowly. It was triggered by arriving at an arts department with a science background. My Marxist colleagues were baffled by this, just as I was baffled by their idea of ‘the commodification of art’, which led me to read Marx’s Capital. My grandmother had sold sculptures in Vienna during the Depression which meant her children did not starve; similarly, my father supported our family through art. Hence I could not see a problem with selling paintings, sculpture and so on. I also span a bewildering range of disciplines partly acquired through graduating with four different degrees from four UK higher education institutions: a BSc in physics and chemistry, an MSc in software engineering, a PhD in computer graphics and an MA in studies in mysticism and religious experience. I have also taught myself international relations, US constitutional history, film theory and economics, and have appeared on Australian radio as a 9/11 conspiracy theory debunker. Q: Can you briefly explain the idea of ethical capitalism and how it relates to the ideas of other economists such as Karl Marx? MK: It became clear as I read right wing economists that for them capitalism was in itself an ethic whereas for the extreme left capitalism was by definition unethical. Quakers occupy the middle position of practical entrepreneurs who were instinctive capitalists for social good. Q: How would you describe the state of the Quaker community today? Is it as tight knit as it was in the seventeenth century when Quakers first started ‘Meeting for Sufferings’ to record the persecution of their members? MK: There are no threats now as there were then but Quakers offer continued support everywhere there is conflict. However, the numbers are in decline and in all populations Quakers make up a tiny group. They are still found everywhere. For example, there are Quakers in Russia since their ancestors were prominent in influencing the pacifism of Tolstoy, and in Japan one of the founders of Sony was Quaker. Also, the daughter of Richard Cadbury (who jointly founded the chocolate company with his brother George), Beatrice, married a communist and lived in Holland. She refused her inheritance and wanted to give it to the company workers but they refused to take it! On an individual level, Quakers are the strongest and largest community I am engaged with. I was also invited to join Quakers & Business which keeps me up to date with contemporary Quaker enterprises and thinking on corporate governance. They are instrumental in funding a PhD to investigate the twentieth-century period and are investigating the possibility of setting up a Quaker bank. Quakers have a lot of experience and history in banking; both Lloyds and Barclays were originally Quaker. The Pease family were bankers and instrumental in the Stockton and Darlington railway, the first passenger line in the world to be drawn by steam. I believe that Nichola Pease, daughter of Sir Richard Pease and descendent of the man known as ‘the father of the railways’, and her husband Crispin Odey, are known as the ‘Posh and Becks’ of the banking world. 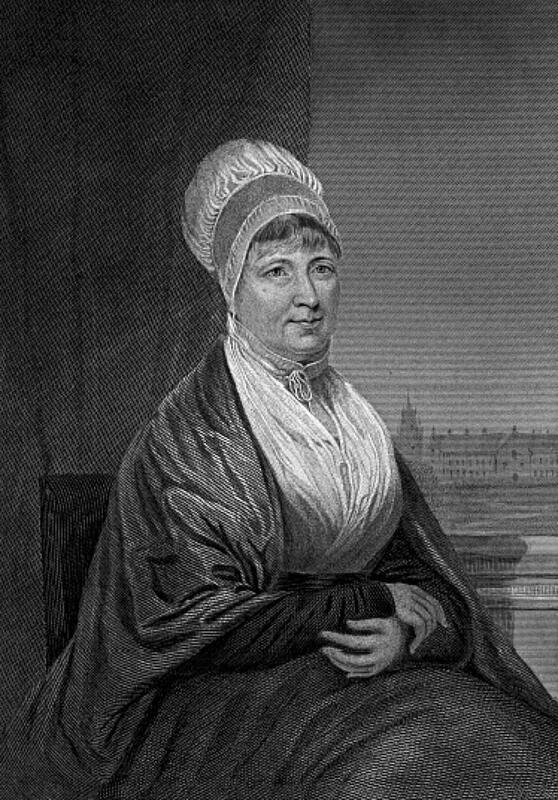 Q: In your book, you refer to prominent female Quakers such as Elizabeth Fry and Margaret Fell. What do you think businesses today could learn from Quaker attitudes towards women at work? MK: I’m not sure about that as it was a man’s world then. There were also practical reasons as women tended to have a lot of children. However, Margaret Fell, and then her daughter Sarah, managed an estate that included forges and shipping abroad and were very capable women. It is still a long haul for equality for women in business but Quakers have a tradition for equality and speak out for women’s rights. The most famous woman Quaker is possibly Elizabeth Fry, known for her campaigns for prison reform, and currently still acknowledged on the rear of the five pound note. Q: Which Quaker origin business do you most admire and why? The Coalbrookdale company of Abraham Darby which kick-started the industrial revolution. At the 2012 London Olympics opening ceremony, film director Danny Boyle chose to celebrate his name above all others as the instigator of the Industrial Revolution. The company also had complete vertical integration; it not only made components for steam engines but it also built model villages and made donations. One of its directors, Richard Reynolds, had to employ four almoners to give his money away before he died, in a pattern of wealth creation and philanthropy still practiced by such billionaires as Bill and Belinda Gates and Warren Buffet. Q: You mention that the model of Quaker practices in economics worked particularly well in small business. How could it be applied on a larger, even global scale? MK: Quakers practised economies of scale from the beginning, introducing steam engines into every business that could use them. It was then still amazing that one machine could do so many things. Mass production was one underlying ingredient for their success. 1) Cheap capital. Quakers had a network to rely on so new risks were small. I see no reason why the state can’t take on that function. Both Japan and Korea receive state investment on a grand scale, while the current UK government is supporting small businesses in this way. 2) Quakers are non-hierarchical, with no priests or bishops, but participate in collective decision making through ‘Meeting’ at various levels. These Meetings were effectively a form of ethics committee, rigorously investigating the behaviour of companies run by their members, for example reproving shoemaker Clarks for selling sheepskin coats to the army and ‘disowning’ the Galtons of Birmingham for manufacturing arms. Clarks was the longest-lasting Quaker business; it lingered on more than any other brand – and seems particularly popular in Jamaica! 3) Sheer networking. Quakers had an unusual headstart as a networked group of entrepreneurs. Q: Are you currently working on another project/publication? 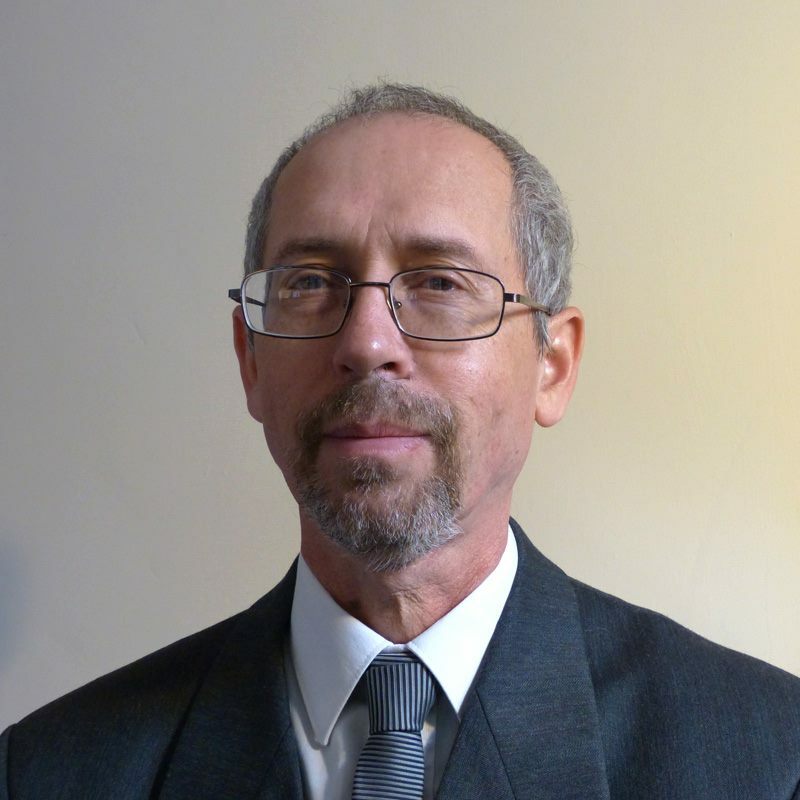 MK: I am working on a book about monetary theory and banking drawing on statistics from the Bank of England and the US Federal Reserve system. I’m researching the question of moral hazard, such as the temptation for bankers to speculate more unwisely with other people’s money than they would with their own. Ultimately the book is about the ethics of lending in a world increasingly drawing people into debt. You can also visit Mike King’s blog or Facebook page for further information. September, 2014: Every month, we highlight 5 key topics or new developments in the book publishing industry, with a special emphasis on academic publishing. Whether data, news or commentary, we aim to keep you informed. Journal Nature Communications, billed by Nature Publishing Group as the number three multidisciplinary journal in the world behind Nature and Science, is to take the “decisive step” of becoming open access only, reported The Bookseller. It will accept open access submissions from October 20 only, the company said in a press release.The move follows much debate on “open access” in academic publication. Academic publishing can free itself from its outdated path dependence by looking to alternative review mechanisms, said Benedikt Fecher in this post for LSE’s “Impact of Social Sciences” blog. How can marketers of academic books take advantage of changes in digital publishing? Beth McAllister finds out in this post for the Oxford University Press blog. After rumblings surfaced that Amazon is creating a new American Idol-style crowd-sourced publishing platform, the e-tailer has confirmed that the program is “in the works”, reported Publishers Weekly. In the same week, the major retailer has also launched Amazon Unlimited, a “Netflix” for books. E-book download site On Read has been shut down by the City of London’s Police Intellectual Property Crime Unit (PIPCU), reported The Bookseller. The issue of E-book content protection remains prevalent after the EU intervened in a clampdown on piracy in the Netherlands earlier this year and Harper Collins recently adopted digital watermarking. 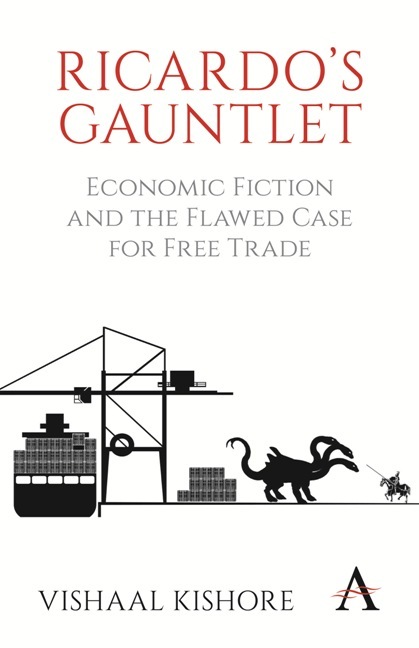 This month, we are excited to present one of our trade titles, Ricardo’s Gauntlet: Economic Fiction and the Flawed Case for Free Trade as “Book of the Month”. The book’s publication comes at a time when the free trade debate continues to rage in the media. 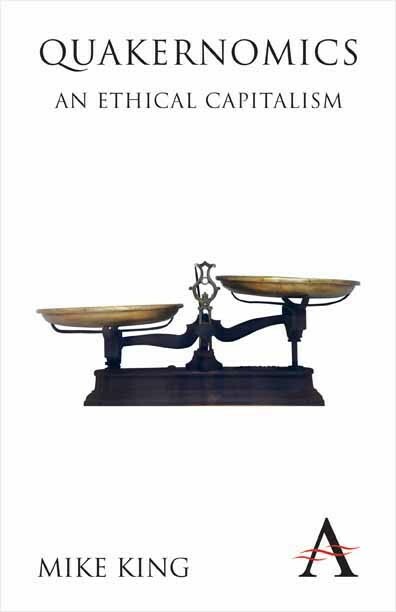 It advances a critique of the mainstream economic case for international free trade and argues that this case relies on a cluster of interconnected and mutually enforcing ‘economic fictions’ – economic theories or doctrines that pretend to be fact but which upon examination turn out to be mirages. We also caught up with the book’s author, Viashaal Kishore, and asked him a few questions about his experience writing the book and his theories on free trade. You can read the interview here. Government strategist, public servant and academic Vishaal Kishore talks to Anthem Press about writing his newly released book, Ricardo’s Gauntlet: Economic Fiction and the Flawed Case for Free Trade, which challenges readers to reconsider the concept of free trade. Q: Are you following any free trade deals in the news at the moment? 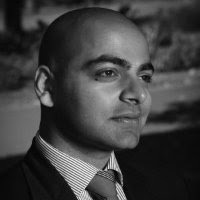 Vishaal Kishore: There is never a shortage of ‘live’ policy debates concerning free trade in the news – for example the very recently concluded CETA deal between the EU and Canada, on-going US-EU negotiations, or indeed Australia’s recently concluded free trade and economic partnership agreements with both Korea and Japan. What is quite interesting about much of the broader free trade discussion is that it asserts, rather than really explores, the notion that free trade is a good idea and that it leads to significant economic gains. Q: What implications do you think that the book has for these debates? VK: What I try to do in Ricardo’s Gauntlet is examine this underlying assertion, and find that the story told to support it is less than fully convincing. Given how critical trade is in our global economy, and how prevalent it is in our public discourse, it’s quite timely for us to consider afresh the goals that we really seek from trade agreements and from trade policy, and whether free trade really is the best way to achieve them. Q: What was the hardest part of writing Ricardo’s Gauntlet? VK: The best – perhaps even the only – way to engage in a policy debate with the history and prestige that free trade has is to pick up the debate using its own language, and test the dominant arguments as much as is possible on their own terms. This is what Ricardo’s Gauntlet tries to do: it asks the question whether – on its best reading – the case for free trade really stacks up. And I think ultimately this was one of the hardest things about writing the book – having to be painstakingly scrupulous in examining, and ultimately critiquing, a well-established disciplinary truth. 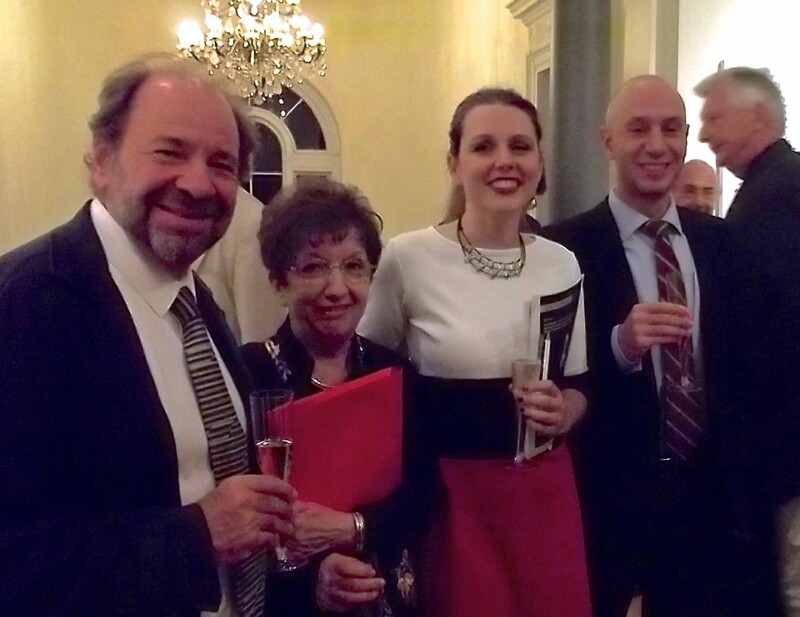 Genuinely smart people – Nobel Prize winners amongst them – have spent a long time refining the case for free trade. Misstepping risks alienating those with whom you are seeking to engage. So instead you have to chase all the mainstream rabbits down their holes and move between different disciplines and sub-disciplines to make sure that you represent the case for free trade as strongly as you can. And then you have to try to figure out why you disagree with it! But what made writing the book hard hopefully makes it better to read! Q: As you highlight in the book’s introduction, there are many ways to assess trade as a topic. If you were to analyse other types of trade other than free trade, which would you choose? VK: There are of course other ways of thinking about assessing trade. While these might not have the same prestige in policy discourse, some of them are very much a part of our broader public imagination. One that I think is particularly interesting is what is often called ‘fair trade’. There are any number of fair trade organisations that seek to certify coffee, chocolate and other products as ‘fair trade’ goods based upon their compliance with certain standards. These standards often relate to the setting of minimum prices to be paid to local producers for goods, and premiums paid towards local community development and infrastructure. Don’t get me wrong, this is better than allowing the market – unfettered – to run rough-shod over subsistence farmers. However, is some small premium on top of the market price all that it takes to make international trade fair? It’s interesting to think a little more about what is ‘unfair’ about ‘free’ trade, and what it would take to make it ‘fair’. We might think that fairness in trade involves some kind of justice or fairness in the way that benefits are distributed between players involved in the production of goods in a broader supply chain. Is it right to call trade ‘fair’ where subsistence farmers in the developing world continue to eke out a meagre living while others in the supply chain garner massive rents by reason of their privileged position in that supply chain? I think it would be exciting – ethically and intellectually – to see what more could be done in this area. Q: What alternative would you propose instead of free trade? Would you describe yourself as an advocate of protectionism? VK: This is a great – and indeed a common – question. One of the problems with our current discourse about international trade is that it leads us to the dichotomy between free trade and protection: if you aren’t a free trader, you must be a protectionist. One of the key points in the book is that this dichotomy – between free trade on the one hand and protection on the other – sets up a false choice. In fact, when we look carefully at all of the different ways that the state is involved in the economy, we come to realise that free trade itself is a difficult policy stance to really get hold of. We can start to see that there are lots of different ways that the state can shape the development of the economy, of production, and of patterns of trade. We need to get better at having conversations about the kind of economy that we want, and what we can sensibly do from a policy perspective to get it. In this, we need to break the shackles of thinking that all we have to choose from is free trade or protection. The event, “Italy Towards Europe”, took place September 24 and was focused on European theatrical heritage and featured readings by Laura Curino. Professor Cascetta is a theatre history academic and the former director of the Department of Communication and Performing Arts at the Catholic University of Milan. She recently published Modern European Tragedy, a study of twentieth century European theatre, with us. There couldn’t have been a better coincidence than the European Union Italian semester presidency to speak about theatre and Europe. The Italian contribution to the project of the European Union has been significant: Altiero Spinelli and Alcide De Gasperi were among the founders; in 1957 the treaty defining the European Economic Community, or the Common Market, was signed in Rome, while in 2004, 25 heads of state and government signed the treaty that establishes the European Constitution, the result of a long process of integration yearned so much by us all. Undoubtedly, over the centuries culture has been Italy’s major contribution to the melting pot that today we call Europe, that feeds on traditions still thriving in our own country: the ancient Roman and Greek civilizations, Christianity, the Renaissance and the Age of Enlightment. Ever since ancient Greece, at the Acropolis in Athens, or from Shakespeare’s time at the Globe in London, a community of active spectators has been meeting up to think, to release the emotions, to mirror itself, to read the present in the light of its history and foundations and to get ready to change. Art becomes the sheltered place where to meet up, separated yet projected into reality. In the course of this reading, through the analysis of selected texts and authors, our speakers will lead the audience to a journey into the European theatrical heritage exploring the thread that has connected dramatic art across all Europe, and still does. In late nineteenth-century Britain, theorist and critic John Ruskin and the designer, writer and activist William Morris began pioneering new approaches to design and the decorative arts. But what sort of relationship did they have and how did their approaches to crafts and politics differ? Dr Mark Frost, author of The Lost Companions and John Ruskin’s Guild of St George: A Revisionary History, explores the connection between the two most influential figures of the Arts and Crafts Movement. The remark, amusing as it is, reveals a great deal about differences in the approaches – to crafts, practical work, and politics – of Ruskin and his disciple, Morris. Ruskin remained deeply indebted to his ‘master’, Thomas Carlyle, and powerful strains of Carlylean authoritarianism darkened his otherwise radical political outlook. 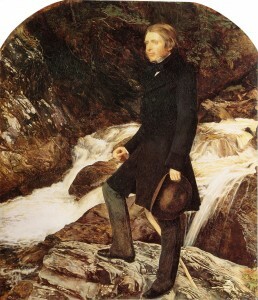 Morris, by contrast, managed to extract what he saw as the most productive elements of Ruskin’s vision while rejecting all of its Carlylean elements. Morris shared Ruskin’s belief in the superiority of medieval crafts. He imbibed Ruskin’s conviction that a nation can be judged by its aesthetic productions; that an immoral nation is incapable of creating great art; and that only non-mechanical, freely creative crafts could produce genuine beauty. This message, articulated most effectively in the chapter entitled ‘The Nature of Gothic’ in the second volume of Ruskin’s The Stones of Venice (1851, 3 vols), a work described by Morris as ‘one of the very few necessary and inevitable utterances of the century’, sought not merely to inspire beautiful buildings, paintings, and crafts, but to transform what Ruskin saw as the inhuman conditions of labour endured by Victorian workers. 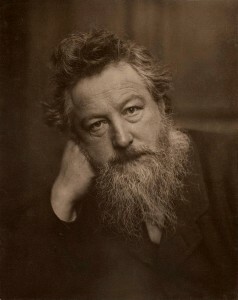 Morris was so inspired by Ruskin that he produced an 1892 edition of The Nature of Gothic for his Kelmscott Press, influenced by Ruskin’s insistence on the virtues of high quality hand labour. Morris’s amazing Kelmscott books, like the famous William Morris & Co. wallpapers, textiles, ceramics, furniture, metalwork, and glass, represent the finest flowerings of the Arts and Crafts movement that Ruskin did so much to inspire. While Morris & Co. was a commercial success and provided a fine school for many workers, it also underlined the limitations of arts and crafts as a genuine challenge to modern industrial practices because such products were so expensive that they could never reach large sections of the mainstream market. This limitation was even more evident in of one of the craft experiments with which Ruskin was associated. The Langdale Linen Industry, a revival of Lake District spinning and weaving led by Ruskin devotees, Marian Twelves and Albert Fleming, only ever found a market amongst wealthier buyers, including some illustrious aristocratic figures. The Linen Industry was loosely connected to Ruskin’s major utopian venture, the Guild of St George, begun in 1871 and conceived as a means to fundamentally challenge the steam-powered dragons of Victorian modernity. Ruskin hoped that the Guild would attract many adherents or ‘Companions’ and create a series of agricultural and artisanal communities devoted to hand labour, fine products, and the socially transformative effects of non-mechanised land work. They would, he believed, encourage sustainable practices and environmental good practice. 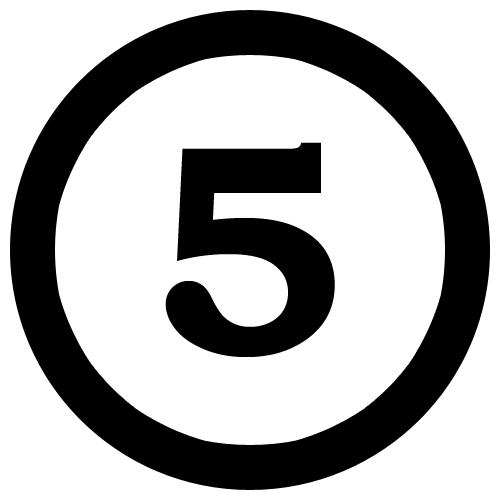 The reality, sadly, was much more modest – less than a hundred Companions joined the Guild and its projects were relatively few in number. It was also a disaster for a significant number of young idealists who signed up as agricultural Companions only to find that their time on Ruskin’s estates around the country was a nightmare of drudgery and neglect. Their stories are only now being fully understood. A number of reasons have routinely been forwarded for the failure of the Guild to fulfil its laudable intentions. These have included Ruskin’s failing mental health, his incapacity in the organisation of practical schemes, and the disastrous impact of his failed relationship with Rose La Touche, the young Irishwoman he had pursued from the mid-1860s until her tragic death in 1875. While these were certainly contributory factors, the Guild’s principal weakness was arguably the adverse effects of Ruskin’s authoritarian politics. For the Guild’s agricultural Companions, Ruskin’s authoritarianism meant that they were consigned to obey while suffering neglect, or to submit to the leadership of unscrupulous and unsympathetic local agents. Embracing the Guild with genuine zeal, they found all possibilities to exercise personal agency in the Guild’s work barred to them, while all of the potential energy and creativity that they might have used to make the Guild estates succeed was squandered – with often tragic consequences. In Morris’s fictional utopia, News From Nowhere, contented citizens lived in creative harmony amidst beautiful landscapes while effortlessly producing exquisitely beautiful goods and a plenitude of necessities. They do so because their shared commitment to socialism rested on fundamental principles of egalitarianism and libertarianism. Whether such a society is possible in reality remains an open question, but Ruskin’s Guild certainly offered the painful lesson that it is simply impossible to combine ideals of free, creative labour with authoritarian power structures.